There’s a moment in my new novel, Lucy in the Sky, where I talk about “the bottom ache,” a pain so deep and tangible that you can know it and feel it, maybe even name it, but only barely describe it. For me as a writer, nailing the bottom ache is job number one. The first time I recognized the bottom ache as such, and named it, I was in Cologne, Germany, teaching a writing workshop for the staff of a popular daily soap opera. Now it’s a fact that everything I know about soap opera could fit in this thimble-sized thimble I keep here on my desk, but it’s a further fact that lack of knowledge has never stopped me before. Like my character Vic Mirplo points out in The California Roll, “Stay one page ahead in the textbook and you look like a genius.” For the purposes of this story, there were two writers of interest in the room. One was the 21-year-old head writer of the show, and the other was the girl writer he had a mad crush on – who, for reasons that still defy explanation, had a mad crush on me. As a not particularly attractive older man, I could only guess that she was attracted to older men. But this set up an interesting, and heartbreaking, little triangle, one that led me to one of the most important writing discoveries I’ve ever made. See, the young head writer looked at that girl he had a crush on, and he yearned for something he could never have, because she just wasn’t into guys her own age. 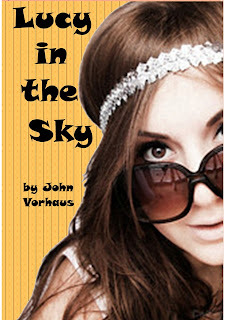 She, in her turn, looked at me and yearned for something she could never have, because I’m happily married and whatnot. I, in my turn, looked at that young head writer and yearned for something I could never have: massive writing success at a ridiculously early age. Or, to put it more simply, I yearned for my youth. And the pain was so deep that I gave it a name: the bottom ache; the place where the pain lives. And the writer’s job, it seems to me, is to capture those feelings we feel so hard and somehow translate the tiniest sliver of that real emotion into words on the page. Trouble is, words aren’t up to the task. Even as I lay out the scenario for you, I know I’m failing by a fairly wide margin to describe the tangible pain the three of us felt. I can only give you a glimpse, a wisp, of it. I have to be satisfied with that. But it seems to me that the difference between a good writer and a great one is not the ability to put pretty words – or even pretty moving words – on the page, but the willingness to go down deep, to chase the bottom ache, capture that chimera, and put that down on the page. When we can make the reader feel what we feel, that’s when we’re really doing our job. Writers often find themselves confronted by the question, "What is emotional truth?" and the further question, "How do I put it on the page?" In my experience of working with writers (and being one of course) I find that writers go through predictable stages in their struggle to convey authentic emotional meaning in their work. At first a writer has no idea that such a thing as emotional truth even exists. She is only interested in making the plot work, making the jokes funny, and making the story lurch from event to event with no thought for deeper meaning or deeper human truth. I call this the "blowing things up" phase, for a writer has no concern beyond the big bangs of plot mechanics. As a writer continues to develop, she becomes aware that there's such a thing as emotional truth, but has no effective means of exporting this information from her brain to the page. Her efforts at doing so seem (to herself and others) to be awkward, stilted and self-conscious. She might write, for example, the words, "I love you," and then recoil in horror at the awful obviousness of that thought. What's lacking in the writer at this stage is a means of connecting simple human truths to stylish presentation on the page. If the writer continues to grow and develop, she becomes aware that emotional truth exists, and starts to acquire some strategies and tactics for conveying such information in a stylistically satisfying way. She may, for instance, have discovered text and subtext, and brought her writing to the point where she can have one character say to another, "Would you like some coffee?" and have it understood that this really means, "I yearn for you to the very core of my existence." This is a writer who has both the awareness and the toolcraft to convey emotional truth. And yet, often, she does not. Why? Because she is afraid. In conveying emotional truth on the page, a writer must make a certain leap of faith. A writer must confront the knowledge that, in writing about emotional things, she will in some sense expose herself to the very feelings she's trying to convey. She'll have to own those feelings and take responsibility for them, with herself, with other writers and with the audience and the world at large. This is a profound challenge to many writers… a hurdle that some never get over. It's difficult, for example, to write a venal and corrupt character authentically without feeling venal and corrupt yourself. Some writers never can do that. They never get past their fear of being honest on the page. 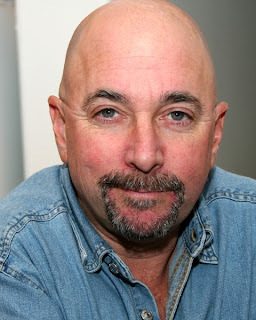 John Vorhaus has written five novels and many books on poker. His comedy writing text, The Comic Toolbox, is considered a classic how-to book for writers, and will be making money for someone long after he’s dead, buried and gone. He tweets for no apparent reason @TrueFactBarFact and secretly controls the world from www.johnvorhaus.com. Thank you, John, for being here today! Want more of his writing? Go check out his book, Lucy in the Sky (HERE). It sounds fantastic! Better yet, go find it on Amazon (HERE). Happy reading!